Summary: This walk from the lovely Dales village of Stainforth visits Catrigg Force where a hidden waterfall evokes fairy tale thoughts. It is a delightful spot for kids to dwell and afterwards the walk across Winskill with limestone outcrops and then on a path above Stainforth Scar is superb with great countryside views to enjoy. The Walk: This was a splendid short walk from Stainforth up the track from the village to Catrigg Force, a dramatic hidden foss of Stainforth Beck. 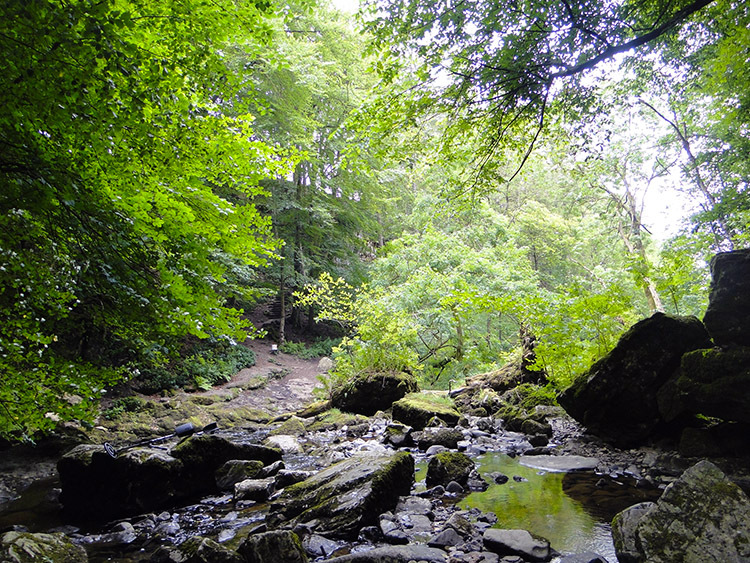 I have been to Catrigg Force a few times now and never tire of the visits. It is a magical place. 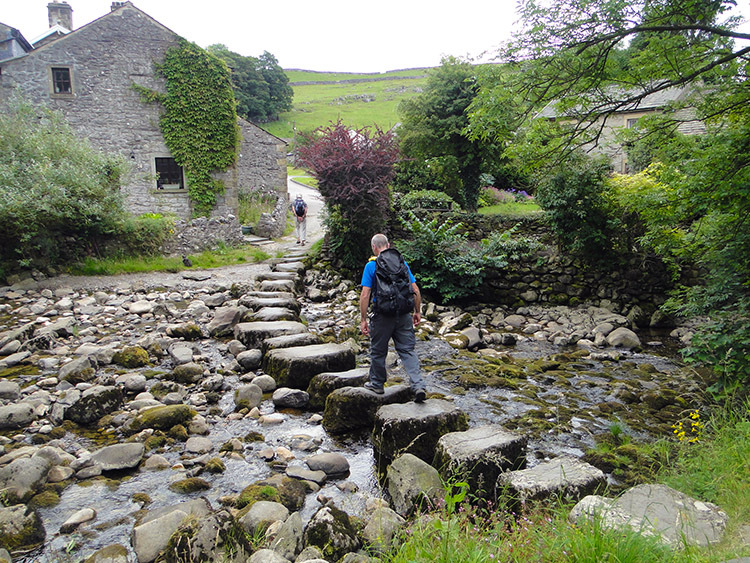 I set off to reach the force from the car park in Stainforth and walked up a road north east through the village to a track running beside the Craven Heifer pub where I reached some of the most impressive stepping stones I have ever come across. After crossing the stepping stones which cross Stainforth Beck I followed the ancient walled track of Goat Lane heading south east from the village on a steady ascent for about three quarters of a mile until I reached a signpost pointing me to Catrigg Force. Take care on this path, it meanders down to the hidden gully where the waterfall is found. 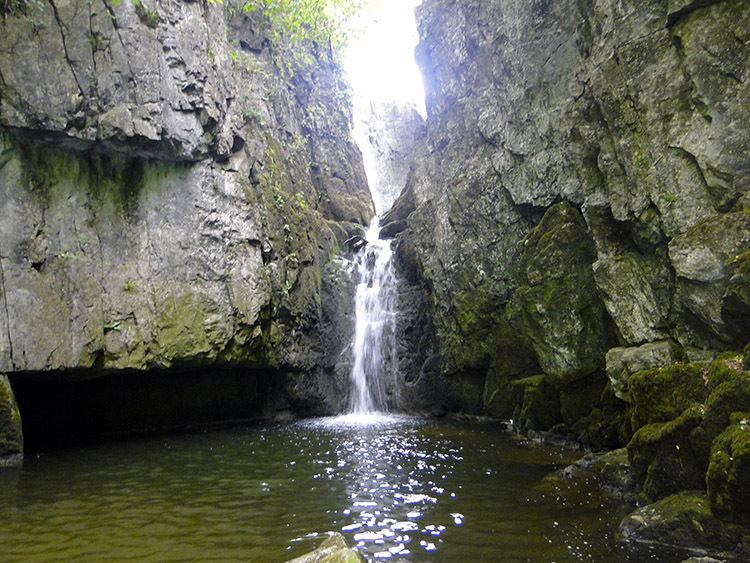 You will hear the waterfall before you see it and it is found by following a path through a gate and downwards past trees to the waterside of Stainforth Beck. The waterfall can be seen beyond an impressive and enticing drop pool where people often clamber on the rocks to get closer to the waterfall. If you are with children they will instantly be attracted by the scene. Never mind the children, any lover of nature and natural beauty will be enchanted by this place. I cannot help myself, I cross the beck and get as I close as I can before sitting on a rock near the waterfall and taking it all in. I stay for quite some time, finding it difficult to draw myself away. It is a world away from worry. After spending as much time down beside Catrigg Force as I could allow I climbed back up the path to the walled lane and then continued along it southwards for a few hundred yards before taking the right hand fork at a junction which led me to the farms of Upper Winskill and Lower Winskill. 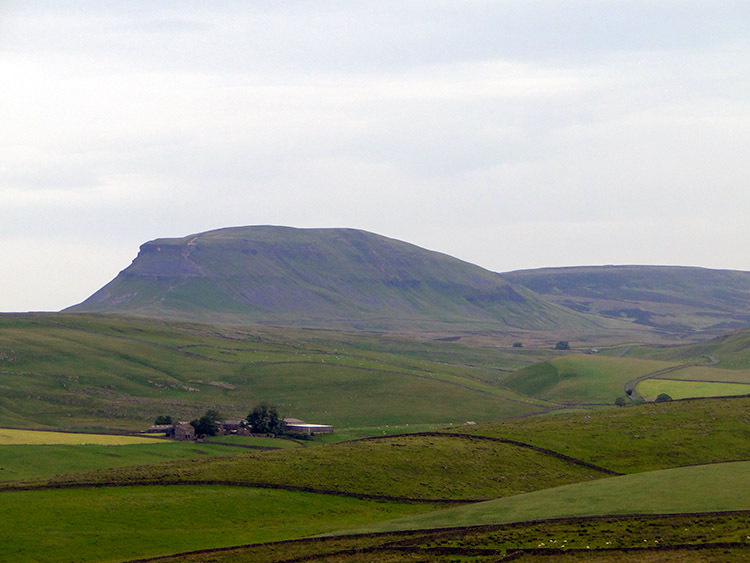 On this stretch of walking I looked across to the impressive south facing profile of Pen-y-ghent, one of my favourite Yorkshire Dales mountains. On the moorland just above are the Winskill Stones, pedestals of limestone topped with slate deposited here by ice-age glaciers. 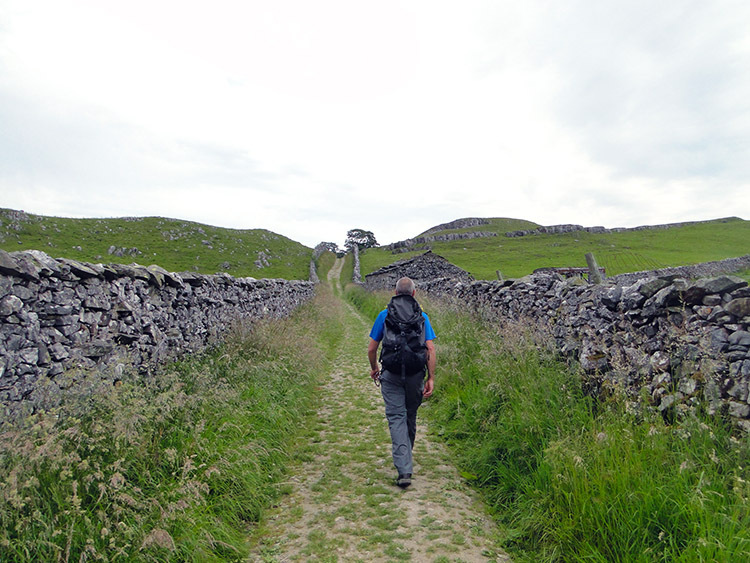 After passing the farms I followed a path north back to Stainforth keeping Stainforth Scar on my left. 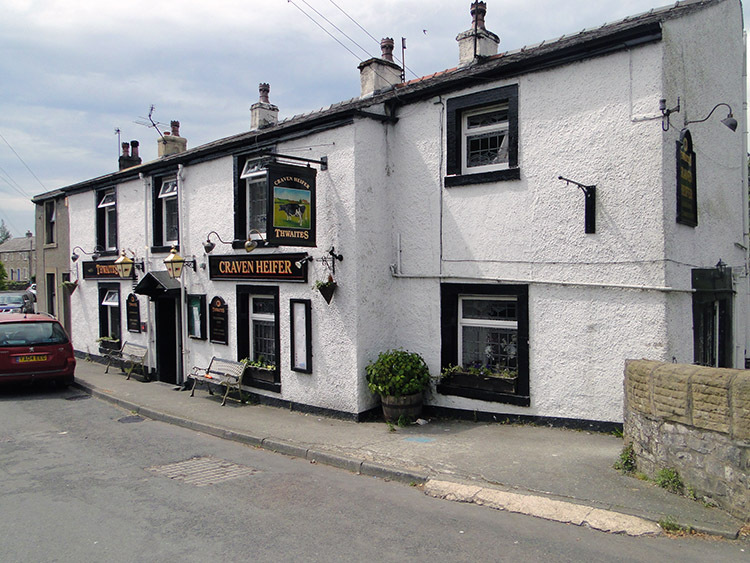 I finished my walk and then enjoyed a pint in the Craven Heifer, a fitting end to a short but fulfilling walk. It made for the perfect half day out in the Yorkshire Dales.